Nuu's Cusps: Doll Review: General Overview of Monster High. Doll Review: General Overview of Monster High. I like to take a look at the company behind the dolls that I'm reviewing before I start writing about the actual product. For specific doll lines that I've already gone over I'll skip straight to the product review, but if I come across a new franchise or company then I'll make an effort to research it! Monster High was released in June 2010 by the company that brought us Barbie, Cabbage Patch Kids, Hot Wheels, My Scene and What's Her Face; Mattel. The line was created by Garret Sander in order to fill the gap of 8 - 12 year old pre-teens as they 'grew out' of the Barbie target audience, and fill the gap it did! The characters are teenage sons and daughters of famous monsters, whom are making their way through the rocky journey that is high-school. Their parents are generally from Universal horror films, but as the cast of the franchise has grown, more and more ties are being pulled in from all corners of the world's myths and legends. Monster High is primarily a doll line but also features a tie-in book series, an animated online series, plush figures, TV CGI specials, video games, dress up costumes, a monthly magazine, stationary and more! As of June 2013 there are over 40 different 'waves' of themed dolls; basics with pets and diaries, formal lines, furniture and play sets, basic and deluxe fashion packs, classroom collections, create-a-monster packs to mix and match your own doll, sleep-over dolls, beds play sets, cars, scooters, vanity sets, gimmick dolls that light up or make noises, beach and swimwear lines, the highly sought after SDCC exclusives and more. So much stuff.. Goodbye money.. 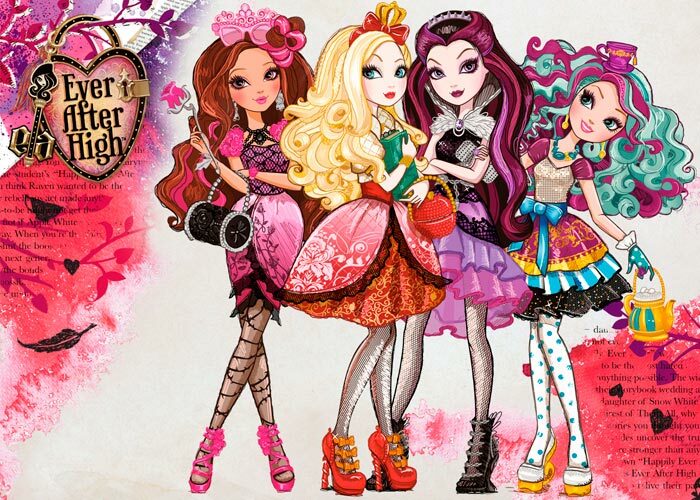 The series has become so popular that a spin-off line titled 'Ever After High' has been released, with a doll line of their respective characters expected to be on shelves July 2013! Mattel is successfully moving its way into all the nooks and crannies of the fashion doll world, hitting as many target audiences as possible. I personally feel EAH is aimed at a slightly younger audience, and is also a response to customers who felt MH was too creepy/scary/inappropriate for children. White girls Princesses are a much 'safer' option so gets more people buying more Mattel products. EAH is a whole blog post in itself so I'll keep it short! I like the initial designs and the short episodes, but we don't know anything about the actual products yet. Besides the stand-alone websites, videos, and trademark stalking it's an open book! Heh, puns.. Sorry.. I do hope the dolls share the same bodies as Monster High dolls. Pictures of 'Apple' and 'Raven' dolls have been floating around online for a few weeks and the sculpts look very similar, but still no official reveals. Hopefully Mattel will have an EAH stand at SDCC 2013! There have been a couple of animated webisodes in the same Flash style, which follow a similar premise to MH: it tells the story of high school student princesses and princes who are destined to follow in their parent's footsteps. There's a twist in that not everyone wants the same fate, so they rebel against their destiny, whatever the consequences. As the episodes are released I'm sure we'll see more character development and I can't wait to watch the plot grow! It's amazing and totally unexpected how MH boomed, storming its way into Mattel's 3 top selling fashion dolls alongside Barbie and Disney Princess dolls. 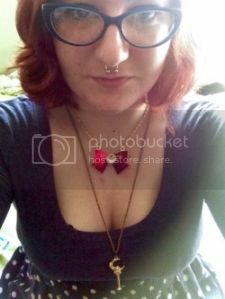 Draculaura: Cute and quirky vegan vampire, the adopted daughter of Dracula. Clawdeen Wolf: Fierce fashionista. Daughter of the Wolf-Man. She's part of a large family, with other sibling characters featuring in the series and in doll form. Lagoona Blue: Athletic and caring, daughter of the creature from the Black Lagoon. Cleo De Nile: Royal and sometimes comes across as mean, but is a very loyal friend. Daughter of the Mummy. Cleo is dating Deuce Gorgon: interested in cooking and skateboarding. Son of Medusa. Ghoulia Yelps: Smartest ghoul in school, shy but always helpful. Daughter of the Zombies. Abbey Bominable: Exchange student and strong minded. Daughter of the Yeti. Here's the main cast! .. And Holt..
Basic/First Wave versions of each character come with a themed pet, diary, stand and brush. Dolls have different retail prices dependant on the type of line and the store's mark-up E.G approx £11-13 for a budget doll with a smaller box and fewer accessories (swim line, beach line, sleep wear line), £16-18 for a basic doll in a larger box (first waves of each doll, picture day, Scaris basic) and £22-25 for a deluxe doll (generally collector lines, Formal lines, Sweet 1600, Scary Tales). The dolls feature 11 points of articulation; neck, shoulders, elbows, wrists, hips and knees. The female dolls feature skinny limbs, a small bust, stylised 'sway' of an arched back, high heeled feet, long neck and heads a little larger in proportion to the body. The joints offer a lot of movement, which is great as a child's play toy or a collector's display item. The elbows and wrists use ball and peg joints, which allow for great rotation and movement. The joints are simple, sleek and allow for lots of character and expression. The wrist and elbow pegs can pop in and out of the joints to allow of changing of clothes. The peg sizes are the same, which means they can be swapped with other MH dolls! There are a few different sculpts of hands, with the splayed type pictured here being used in most of the lines. There's also a slightly pointed sculpt, grasping, clawed, 'elegant' hands with fingers together, webbed, 'I<3U' sign, 'OK' sign, several 'glove' designs, skeletal/bone hands, vine marks, 'rad phone' sign and clear plastic hands with molded chains. Nefera and Headmistress Bloodgood have splayed hands in proportion to their body sculpts. The male dolls also have splayed hands, as well as relaxed, gripping and 'elegant' sculpts. Newer male releases also have wrist articulation which was not present at the start of the franchise. The first few waves of dolls had sewn elastic attaching the thighs together through hips, but the elastic often became worn with use and snapped, leaving an upset child/collector and a legless doll! It's an easy fix and I'll be making a blog post soon about how to do it. However, dolls after (and including) Toralei's first release had an updated plastic peg system. Despite being plastic, it still offers a lot of posing options and movement! The knees bend to 90° and have sideways rotation too. The strange proportions are typical of a fashion doll line, but the franchise has been met with resistance. Some parents and buyers didn't agree with what was mentioned in some of the diaries, such as Clawdeen writing about how she shaves and plucks hair, or how inappropriate their clothes are for young adults to be wearing. HOWEVER, none of this resistance has made the dolls drop in popularity. Yes, I agree that some the first wave of dolls had skirts that are too short. But Mattel reacted to justified complaints and adjusted the dolls. The following waves saw female characters wearing -gasp- trousers! I love the Monster High universe, especially the dolls, but I dislike that only one body type is shown and that's 'slender'. We have 4 different doll body sculpts: Nefera is Cleo's older sister so she has a larger, taller and more developed body type, the rest of the cast have a 'teenaged' body type with a relatively small bust, Twyla and Howleen have an even smaller body sculpt, in terms of size and height, and the rather lanky male body. It is worth noting that Operetta seems to have a larger hip and bust sculpt, suggesting she is more developed than the others, but there's still no variation in the bodies like more athletic or flat chested or voluptuous or chubbier or pear shaped. I'm one of the site administrators over at monsterhighdolls.com and the forum is kept up to date with brand new and up-coming releases, fresh news straight from conventions, Mattel themselves and general internet snoopings. Mattel have yet to bring out a line I'm disappointed with, even those that haven't been released yet get me excited! There are always 'wow' elements in MH dolls even if I'm so interested in, such as a new shoe mold or accessory piece. As the franchise develops, we see more and more potentials being fulfilled in the form of new releases. Entirely new molds are being used to create wonderful new designs and monsters, and I cannot wait to see how the years unfold for this fang-tastic franchise!